March has been such a very nice month …a few things have resolved …. and how good it is to be moving ever closer to Spring! I received word about a week ago that my little folky bird was sitting on the March new stand! 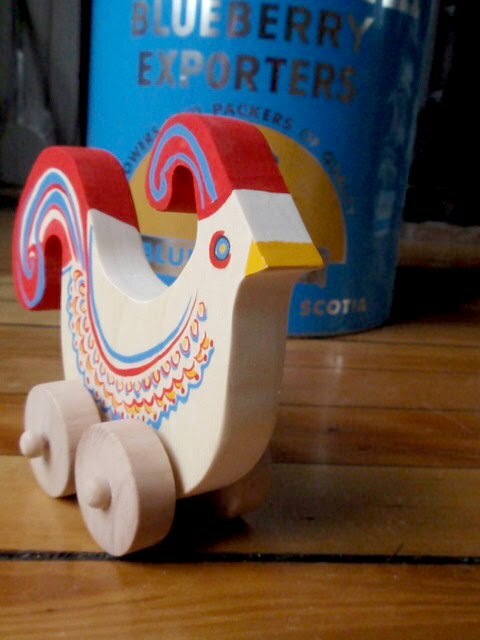 Quail with a heart is a happy but shy bird by nature and was the first in my fanciful flock series -a collection of folk art push toys. 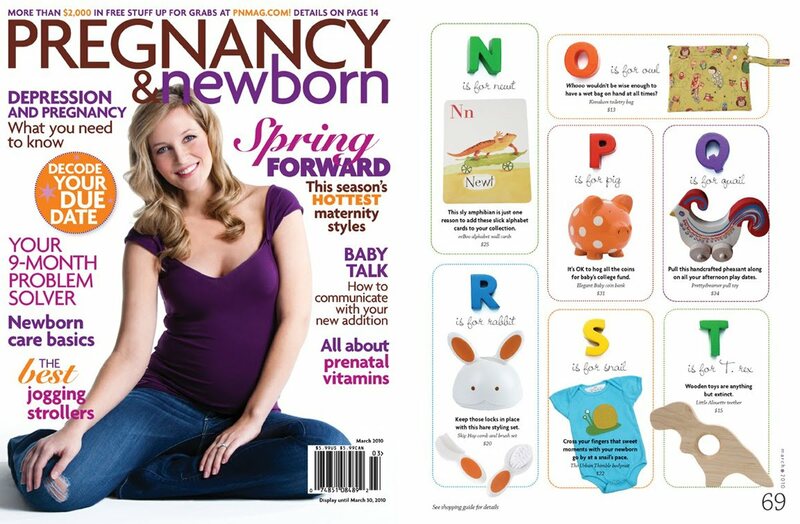 She is letter Q in an A to Z directory in this month’s issue (March 2010 ) of Pregnancy & Newborn (pnmag.com). Thank you so much P&N!! Yay! So happy for you!! What a beautiful toy.